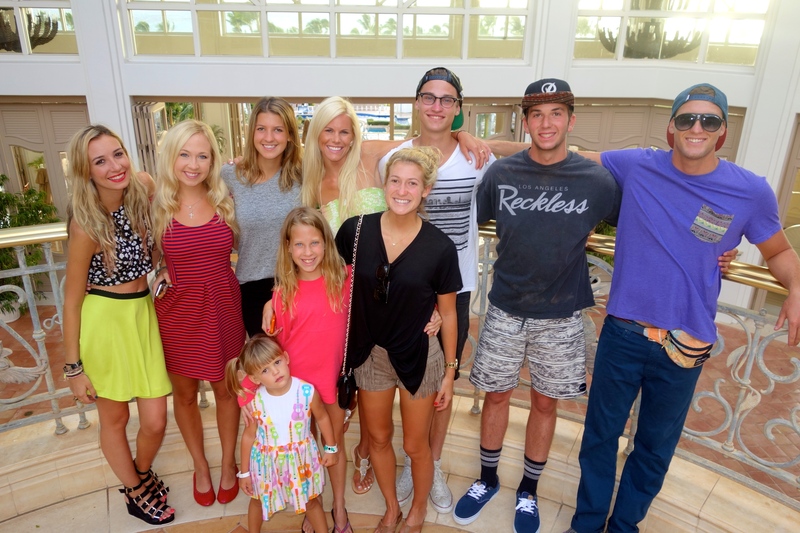 22 of us descended upon The Grand Wailea in Maui for the 18th year in a row. My parents decided long ago to forego Christmas gifts and to instead purchase this Maui family vacation for us all every summer. For 18 years, we have eaten in more or less the same restaurants, swam in the same pool, and baked in the same “Casabellas” which is apparently french for “sweat lodge teepees by the beach.” Over the years, as the cousins have grown from toddlers to young adults, we have had our share of fist fights, trouble makers, rule breakers (bubble bath in the hotel jacuzzi, water slides at night…), injuries (koi pond abrasion, broken arm, tooth knocked out, twisted ankle), giggles, and many fond memories. This year was one of our best trips because we had 2 new members join us. My sister, Jennifer, married Bill last September, so Bill’s daughter, Brittany, and his granddaughter, Heidi, joined us this year. They are both such friendly, upbeat people, and a pleasure to be around. An added feature of the 2014 trip was allowing the cousins to bunk with the roommates of their choosing, instead of with their siblings. That was a big hit! 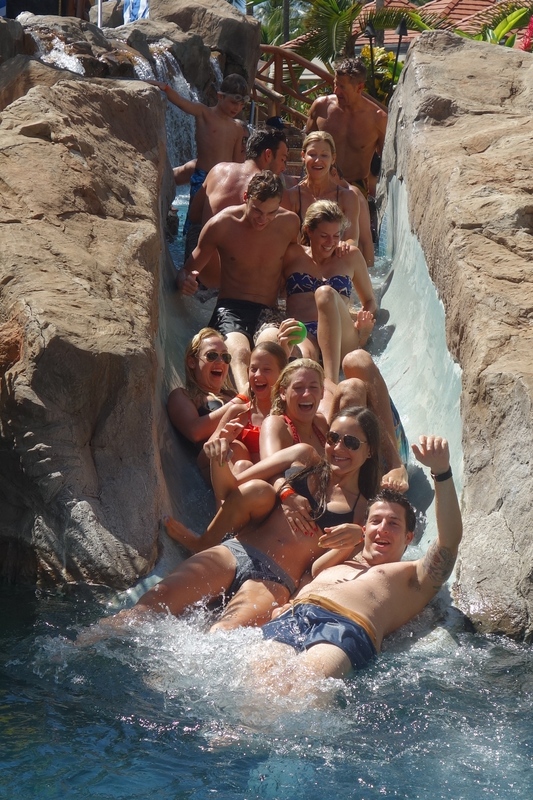 Almost as big a hit as the annual water slide “war” where the whole gang collides as they go down the slides….definitely AGAINST the hotel rules. The real excitement came when the double hurricane announcement was made. Iselle and Julio were coming. The hotel pre-recorded phone message told us to fill our bathtubs with water, remain inside, and stay calm. Stay calm? My parents freaked out, changed their flight, and got out before the first hurricane hit. The kids were excited in anticipation of the adventure, and the young adults got their Go-Pros ready to boogie-board through the storm. Luckily, we got through a little wind and rain, the hurricanes turned into tropical storms, and we all made it out to prepare for another Maui vaca next summer.